1.heat insulation foam wrapped on crank to prevent users from scald. 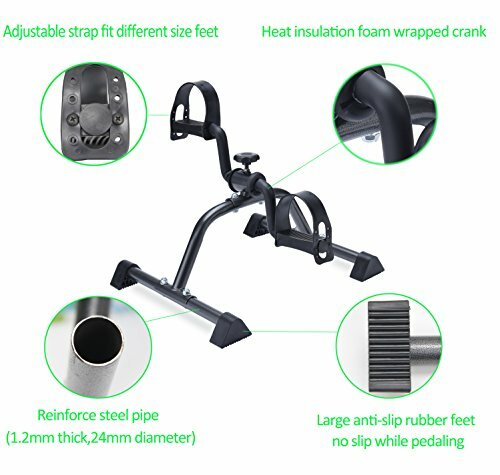 2.Big rubber anti-slip feet to prevent bike from sliding while using. 3.extra-length and adjustable strap can fit different size of feet. 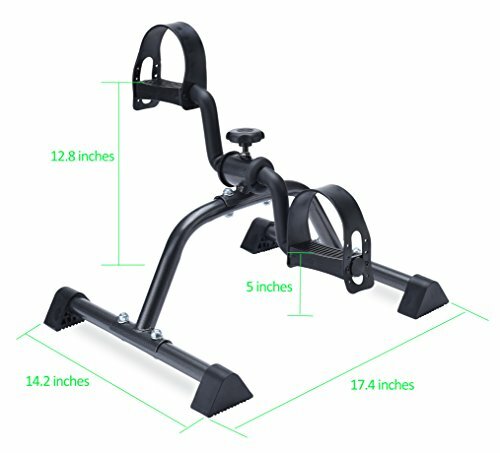 4.A piece of 40*60cm latex anti-slip mat come with bike, it will be more stable while pedaling on the mat . 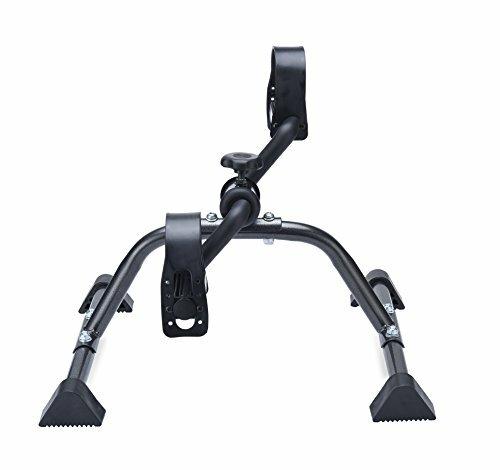 customer feedback issues, we are constantly improving this product. 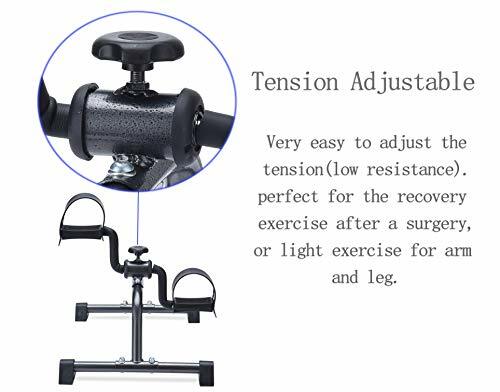 time use, To solve this problem, we put a foam on the surface of the crank.Mini exercise bike is designed for leg and arm cycling exercise or knee recovery exercise, to strengthen arms and legs, increase circulation, improve stamina and relieve tension after long time sitting or working, perfect for rehabilitation following a surgery or injury. 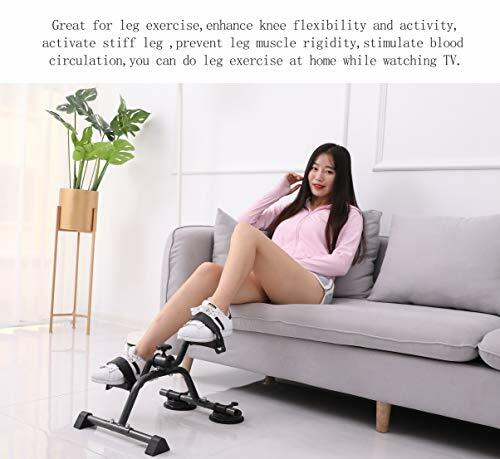 Pedal motion is smooth and quiet, and the resistance is adjustable, perfect equipment for light exercise, the pedaling is very easy even for the seniors. 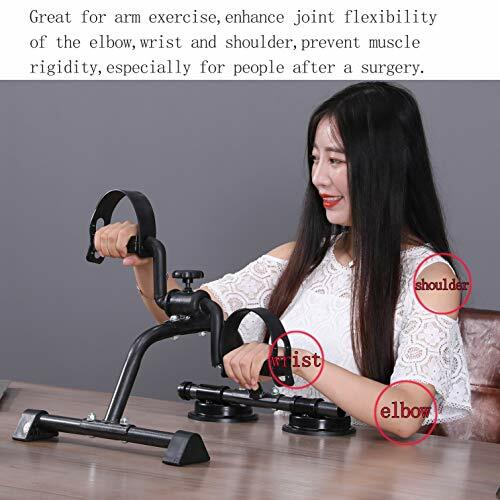 The crank is wrapped in heat-insulating foam, it is safe to use. The cycle is made of reinforced steel pipes, stable and firm enough for long term use. 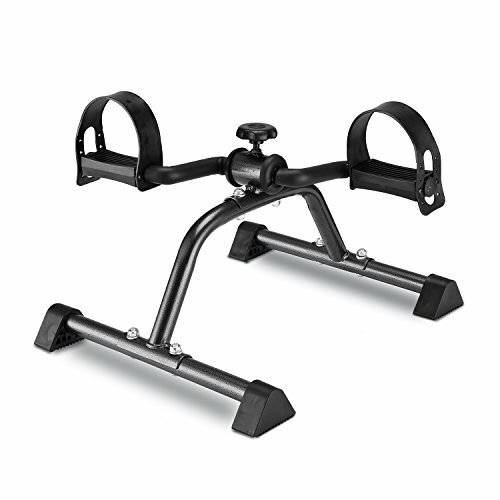 Only need 3 steps to assemble, come with toolkit and user guide, very easy to assemble.